Nowadays, wearing a pollution mask is coming very essential because of the rapid rise in harmful pollutants in the atmosphere. In India, since the last many years, air quality has been getting very worst. It is very difficult to find the best pollution mask in India. There are so many pollution masks available in the market. Originally intended to safeguard industrial and health workers, masks have now emerged as people’s defense mechanism against air pollution. The primary function of masks is to filter out certain particles from the air. For effective protection, it is important to wear a well-fitting mask of the correct size, which covers the nose, mouth, and chin completely without leaving any gaps. “It’s estimated that 92% of world’s population lives in areas where the air quality exceeds the World Health Organization (WHO) limits”. Each day we leave our homes to go about our businesses outdoors. During this period we are exposed to contaminated air from a variety of sources, but most of us are not aware of the implications to our health. Today, air pollution is the major cause of disease and death in the world. According to the (WHO), nine of the top 20 most polluted cities in the world are in India, with Delhi in the first position among megacities (more than 14 million population). While we fight to change this scenario, it’s extremely important to stay protected. That’s why we came up with convenient, effective and affordable anti-pollution solutions. We want you to be safe while on the go! Carefully crafted with comfort in mind, Prana Air City Purification Mask and Prana Air Motion Purification Mask give you maximum protection from dangerous pollutants, such as dust, particulate matter (PM2.5 and PM10), carbon monoxide and sulfur dioxide – usually contained in smoke from vehicle exhausts, factories, bushfires, etc. 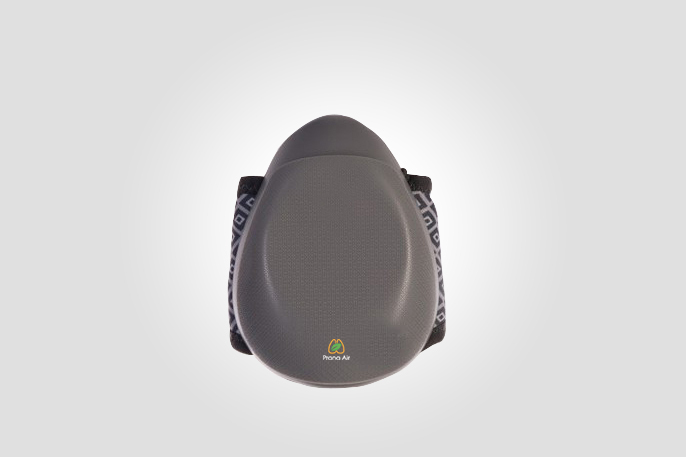 The pollution mask is perfect during sports activities, such as marathons, evening joggings or even a cricket match. The best thing with our purification masks is that they have a micro-ventilator. It eliminates the unpleasant build-up of carbon dioxide and prevents you from breathing in recycled air. It can be easily charged with Android chargers or even in your laptop. Moreover, it comes with different fan modes, which can be adjusted depending on the pollution level. Our masks come with different filter layers that serve as multiple layers of protection against different air pollutants. With 3 fan speeds, 6-layer protection, and a 6-hour battery life. The Prana Air Motion Purification Mask signifies safety in motion.